Note : Water bottles, briefcases, handbags / ladies purses, umbrellas, cameras, radio / transistors, cell phones, arms / ammunitions, eatables etc. are not allowed inside. 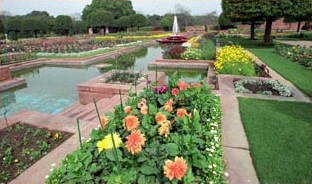 Event Description : Udyanotsav - Mughal Gardens is open for public every year in February and March.